macOS is the second most popular operating system in the world. Although it isn’t quite as widely used as Windows, there are still plenty of options in terms of VPN services out there. Picking the best VPN for MacBooks and iMacs is no different from picking the best one for your Windows-based machine. At the end of the day, the best VPN services in the market are compatible with macOS; they’d lose out on a huge market if they’re not! 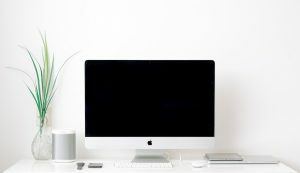 You might think that using a VPN for privacy and safety-related purposes is not necessary on macOS due to the reputation it has for being largely impenetrable. This is far from the case, however—macOS systems are increasingly being targeted by criminals. As the popularity of Apple products is higher than ever before with more and more people relying on macOS, this is a trend that’s only going to increase. Simply put, it’s now more important than ever to get the best VPN for macOS if you own an Apple device. There are two main reasons why more people are beginning to use VPNs – online security and privacy concerns. VPN usage is now widespread, and no longer a shady practice or niche area for the more technologically savvy. What’s more, there are plenty of other reasons to use a VPN besides security. Whether you’re trying to access U.S. Netflix from Europe or want to unblock websites that have been restricted by your government, getting a VPN is the right thing to do. People who own an iMac, MacBook, or any other product that uses macOS need a high-quality VPN service just as much as Windows users. Unfortunately, there are a lot of VPN providers out there who provide a decent native app for Windows and then just reproduce a half-baked version for macOS that doesn’t do a good enough job. In some cases, this can be dangerous as they can expose your information to people who are watching such as your ISP. The VPNs listed here have been chosen because they fit a variety of needs, run seamlessly, are easy to use, and well-designed. Given that these are characteristics that make Apple’s macOS-backed products so popular, it’s no coincidence that the five best VPNs for macOS meet these criteria too. We have combed through virtually every VPN available on the market to not only determine which are the best overall, but also handpick the best options for macOS users. ExpressVPN is easily the clear winner and by far the best VPN for macOS. Often featured at the top of every VPN-related list, ExpressVPN is a leading service that does just about everything… and then some. You’ve probably heard of ExpressVPN already. We only feature it on every top list we compile! With over 2,000 servers located across 148 different locations—from the U.S. to Australia and virtually everywhere else in-between—you won’t be restricted by choice or stuck with servers that don’t work. Connected to a U.S. server that isn’t working with Netflix? Report it to ExpressVPN and move on to a different one. They’ll get it sorted and you’re guaranteed to find a server that works. The speeds of these servers are nothing to be concerned about, either. You will notice very little in terms of speed reduction when connected to most of their servers; ExpressVPN does not throttle your speeds up or down and their servers are blazing fast. Torrenting and P2P activities are allowed, and the servers are quick enough to handle it. ExpressVPN is compatible with all devices through router support and a range of native apps (yes, there’s a dedicated app for macOS!). You can easily protect all your devices. Installation and setup are easy and only takes a couple of minutes once your payment goes through. 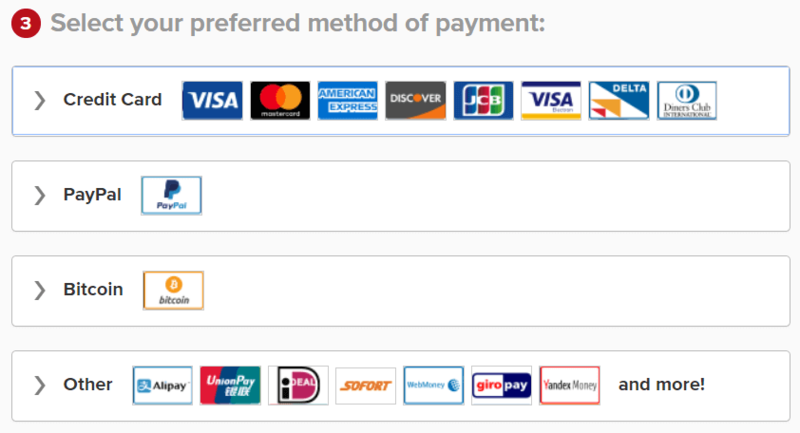 Speaking of payment, there’s a whole host of payment methods for you to choose from, including Bitcoin for anonymity. If you still aren’t 100% convinced, we recommend giving ExpressVPN a spin anyway; they offer a 30-day money back guarantee with no questions asked. At $12.95 month-to-month or $99.95 ($8.32 per month) annually, you get true value for money. Just like ExpressVPN, NordVPN always manages to place at the top of VPN lists. As a renowned provider of a trustworthy, robust, and secure VPN service, it’s no wonder that it’s one of the best VPNs for MacBooks and iMacs. 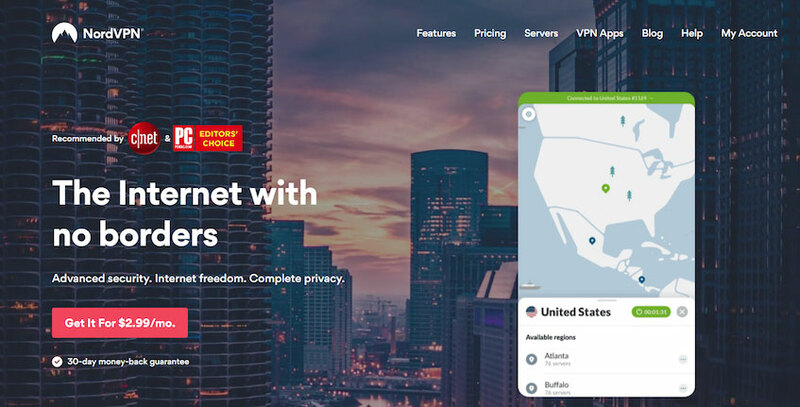 NordVPN has managed to gain trust due to its location in Panama, a jurisdiction that falls outside the scope of interference from authorities such as the U.S. and UK governments and intelligence agencies. They guarantee that no customer information or usage data will ever be collected or distributed to third-party organizations. The sheer size of its service has also helped to make it hugely popular. No matter what you want to do with your subscription to NordVPN, you can probably do it. Need double security? Use their double VPN servers. Are you based in a country that monitors internet usage? Their obfuscated servers will provide additional protection. 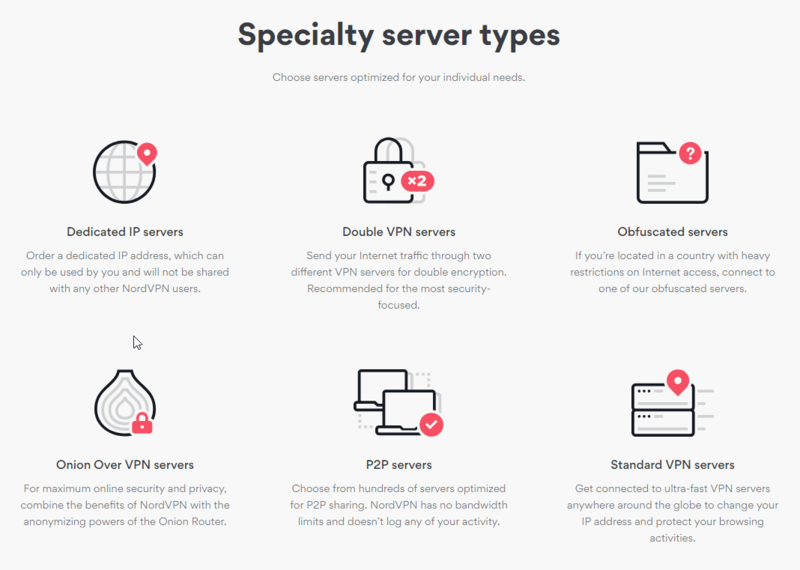 Not only are there lots of different types of NordVPN servers, there are also plenty to choose from. The NordVPN network is huge and they truly provide global coverage. This means you will always be able to find a server suited to Netflix, for example. As we mentioned above, NordVPN comes with all the same bells and whistles as ExpressVPN but with a slightly lower price point. Their one-month rolling plan is $11.95, but you can save a lot more by subscribing for one, two, or three years. As you can see in the picture above, if you choose a 3-year plan billed at a mere $107.55, it will only cost you $2.99 per month—that’s less than your average cup of coffee! It’s slick, packed full of features, and has a great native iOS app. Try NordVPN risk-free by taking advantage of their 30-day money-back guarantee. 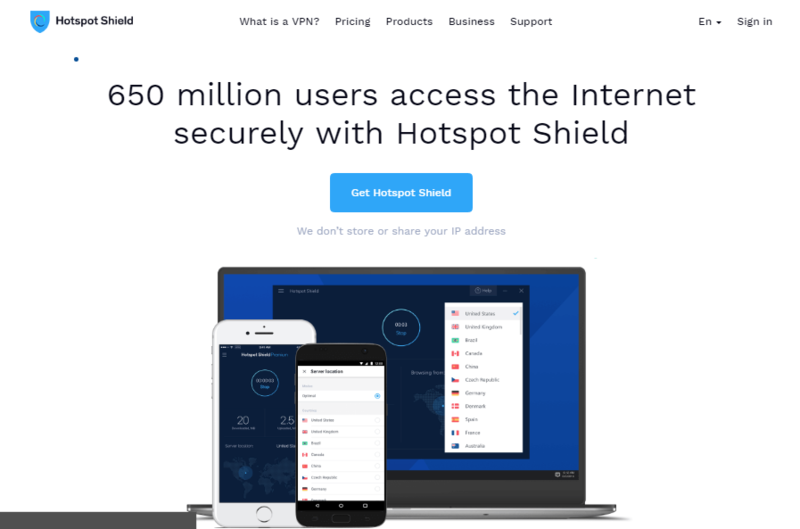 You may have heard of Hotspot Shield on social media. They’re famous for using social channels to advertise their service, including on Snapchat and Tinder. It just goes to show you how broad their user base must be. Hotspot Shield’s premium offering is both affordable and private with strict adherence to current best practices (e.g. strong encryption and use of OpenVPN) alongside their promise not to collect and distribute user data. They currently offer over 2,500 servers in almost 30 locations around the globe. When we tested them in our comprehensive Hotspot Shield review, they turned out to be fast, responsive, and great on performance overall. If you want to use a VPN on your macOS device primarily because you want to play games, stream a lot of content, or participate in P2P activities, Hotspot Shield won’t weigh you down. With a single subscription, you can connect up to five different devices to the Hotspot Shield network at the same time. From MacBooks to iPhones and games consoles, Hotspot Shield works with every device when you set it up on your router. If you simply want to protect your macOS device, there is a native macOS app. At $12.99 per month for a rolling subscription, their pricing is similar to ExpressVPN. 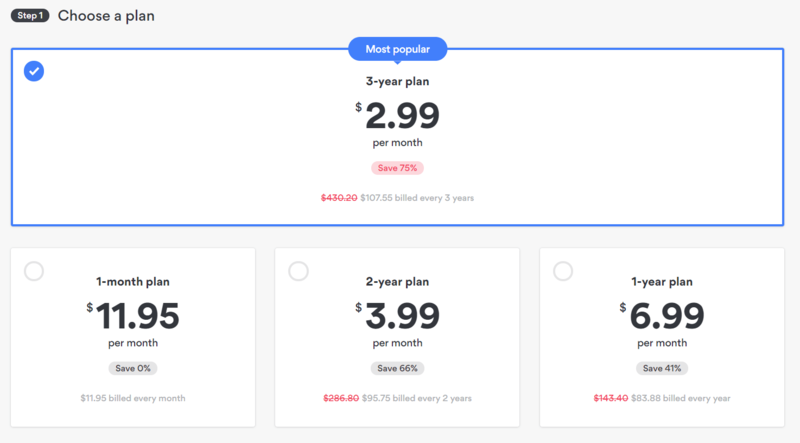 A 3-year subscription gets you down to $3.49 per month, which makes it one of the cheapest VPNs on the market without losing out on quality. You can try out Hotspot Shield risk-free with their 7-day money-back guarantee. Millions of people around the world rely on CyberGhost to deliver a reliable service packed with brilliant features. They are by far one of the best VPNs for macOS and have a native app that installs quickly and seamlessly. In under 10 years, CyberGhost has gone from a startup known only by a few people to a name known around the world. We love how they’re always keeping up with the times and constantly introducing new features for their loyal users. Like many leading VPNs, CyberGhost is located outside of the 5, 7, and 14-Eyes agreements that compel nations such as the U.S., UK, and Canada to share intelligence and information with each other. Rather, it’s based in Romania, a country that does not fall under any of these agreements. It also operates a guaranteed zero-logging policy, as well as using OpenVPN and AES-256 encryption. This means your information is safe and will never be compromised when using CyberGhost. CyberGhost supports Netflix, torrenting, and P2P, so it’s always easy to find a suitable server—they’re all fast, perform well, and capable of streaming or downloading lots of content. For as little as $2.75 per month—virtually nothing, really—you can take advantage of all these features and more with a premium CyberGhost subscription. If you prefer to pay monthly and don’t mind spending more, you can pay $11.99 per month. If you do decide to go ahead and invest in CyberGhost, you can always get your money back within 30 days thanks to their 30-day no strings money-back guarantee. With an app designed specifically for macOS, IPVanish delivers a brilliant service for Apple fans. When we tested IPVanish as a whole, we found that it’s a ridiculously fast and nifty VPN that automatically connects you to the fastest server. With its blazing fast speeds, you’ll be able to stream media, download files, and participate in P2P activities without those annoying lags. IPVanish operates its service over three protocols: OpenVPN, PPTP, and L2TP. It doesn’t log any of your information or activities. The more time you buy, the cheaper IPVanish gets. Their monthly rolling plan starts at $10.00, which makes it the cheapest out of all the VPNs featured on this list. This drops down to $3.74 when you purchase a 2-year subscription. There’s a 7-day money-back guarantee if you’re interested in taking it out for a spin. So, which VPN do we recommend? It should come as no surprise that the VPN we recommend for macOS is ExpressVPN. It’s just about the best VPN service going for virtually anything. When in doubt, go with ExpressVPN. It’s a good rule of thumb. Having said that, any of the VPNs featured on this list will get the job done. What makes the best VPN for you depends on your individual circumstances and what you want to use it for. Some VPNs are great for privacy, while others are better for streaming content and P2P torrenting. It’s all about doing your research and finding out what works best for you and falls within your budget. If you want more recommendations, see our top 10 list of the best VPNs.